I'll happily trade it to you! These cards are awesome. They came in the pack with those strings so the pack was all lumpy when you opened it. 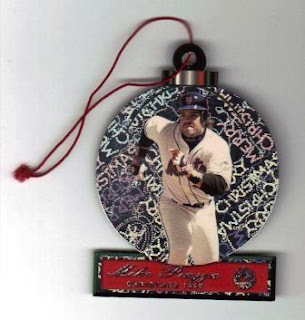 It would be ironic if they made an ornament card of Shawn Green.